Inc. magazine’s September 2013 issue features the 32nd annual list of the Inc. 5000 – a collection representing some of the finest companies in the country. There’s no one industry they hail from, no single geography, and are spread across B2B and B2C – from business services to financial services to consumer products to healthcare to energy and more. Their revenues range from 2 million to over 10 billion dollars. What do they have in common? Performance – 3 year growth rates of 34% to 43,000%. How did they get there and what does it take to manage it? Is your company consistently accomplishing its sales and other critical performance objectives? Can you identify right now ─ in 5 minutes ─ which individuals and teams are hitting their goals, on track to execute their plans – and which are not? Do you have a program, a methodology a system in place that ensures the company hits its numbers consistently and gets increasingly more predictable results over time? Might a well ingrained execution management competency help your company better implement strategy and achieve critical objectives this year and next? Execution Management is different from Project Management and Performance Reviews and it will transform your company. 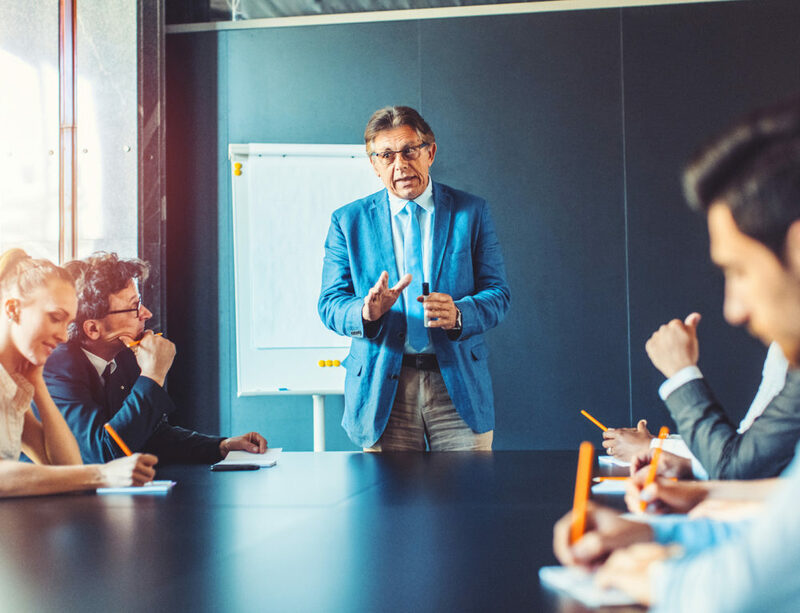 Many companies use project management and performance reviews, but most companies don’t have a formal methodology for developing an Organizational Competency for Execution Management – one that ensures better results that are increasingly more predictable over time. Unlike project management, a well ingrained Execution Management competency will dramatically enhance your ability to manage the entire company for results at a macro ─ as well as at an individual and team level. It creates supreme transparency, alignment, accountability, and follow-through ─ and it produces significantly improved results, immediately. A proper Strategic Execution Management methodology will ensure alignment from vision through results. 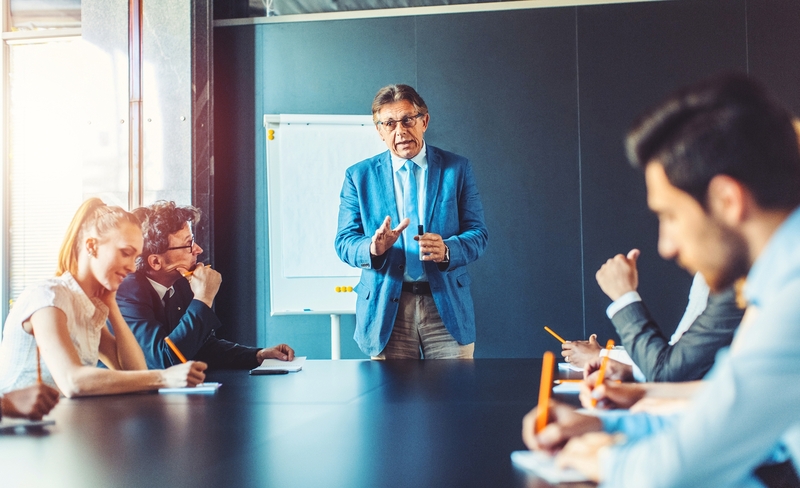 Different than a performance review, when managers hold frequent, structured, goal and behavior-focused Execution Management meetings with each employee, they ensure that critical conversations happen when they need to. 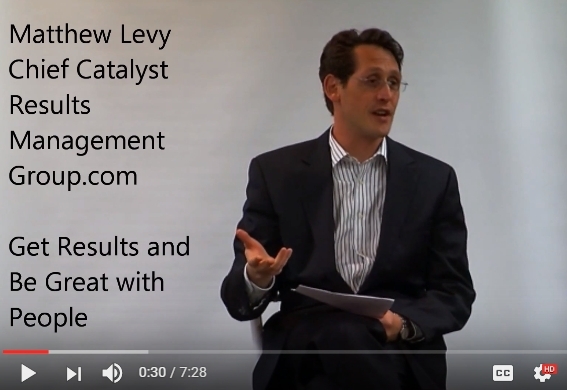 Execution Management conversations are about accomplishing goals, now, and about aligning responsibilities and behaviors, and about accomplishing strategic projects and initiatives. The emphasis is on what it will take to get the goals accomplished so the company can move critical initiatives forward. Assessing the employee is secondary. Employees receive useful and timely feedback and coaching and the opportunity to clarify expectations and negotiate resources so they can accomplish their goals and stay on track. This ensures a workforce that is focused, engaged, empowered and aligned. And, these conversations can change the culture of the company into a performance culture. Adding online tools to enhance Execution Management makes sure that all the critical information is structured, captured and displayed. Vision, strategic initiatives, desired behaviors, goals, results, progress, tasks, notes and discussions, and progress meeting results are all documented and available for review and reporting. Leaders see the status of all strategic initiatives and goals ─ and who is achieving objectives and who is not. Reporting also shows such factors as success of each strategic initiatives and who is successful at exhibiting the specific behaviors that will represent critical culture shifts desired by leadership. Executives also know which managers are participating and managing execution effectively. Leaders then know exactly who to go to ─ to change path, coach, or redirect as necessary to get strategic initiatives and specific projects back on track. Even if making the Inc. 5000 list is not your goal, implementing a structured approach to Strategy Execution Management will transform your company’s ability to achieve dramatically better and increasingly predictable results over time. 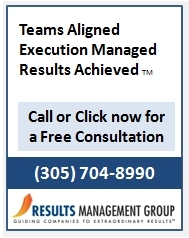 Start a conversation with us by calling (305)704-8990 and let’s explore what next level results look like for your company. Or shoot us an email and we will call you. 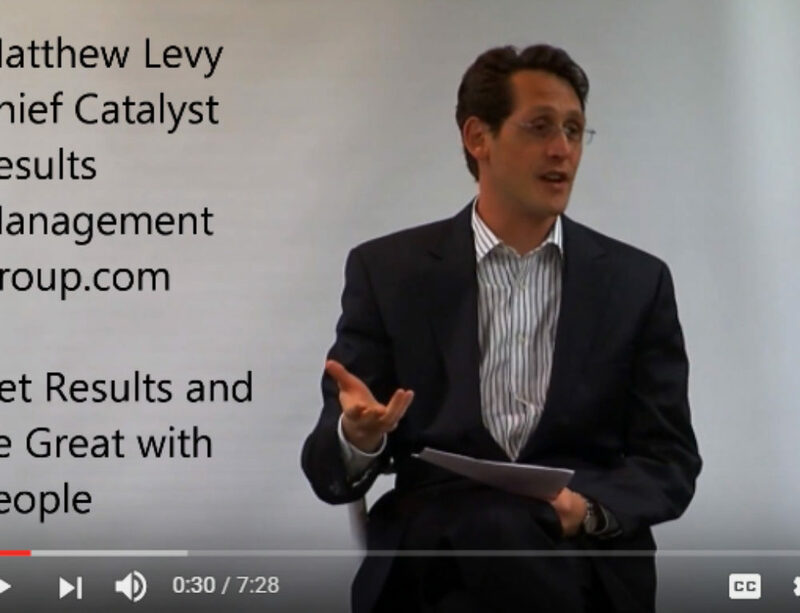 Matthew Levy is the Chief Catalyst and principal of RESULTS MANAGEMENT GROUP, LLC, a growth management consulting and executive coaching firm that dramatically shifts business results by: facilitating the creation of compelling visions and strategies, aligning executive and other management teams, developing an organizational capacity to manage execution and designing organizational environments that support the attainment of dramatically better results in any area.